Three days a week Colin will be finding out from his guests some steps and tips that will help musicians grow online and offline. I recently had the privilege to be one of Colin’s guest. The podcast will be available to listen to tomorrow so be sure to tune in to the show! I have a little spoiler for my new incentive program that’s coming out next month at the end of the show so be sure to listen to the whole thing. 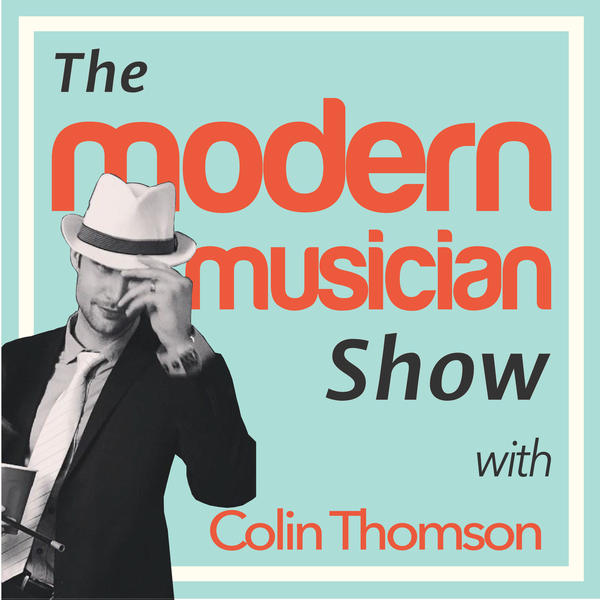 To help other musicians find the show on iTunes, The Modern Musician Show needs some subscribes, ratings and reviews. Now through July 10th, Colin is offering a free video course (a $49.95 value!) on how musicians should be using Instagram to anyone who leaves a review! The video course is going to go through all of the steps musicians should be taking to grow their audience on Instagram. And that’s it! Don’t forget to do this by July 10th! Whether you choose to do this or not, please do checkout the podcast and the free resources on the growing website! ASMTA Conference: Ensembles, Duets and Technology…. Oh My! Lori Frazer knows what she is talking about when it comes to midi and the features of the Yamaha Clavinova. Lori shared, “We lose 78% of students between level 1 and level 2.” (This is based on music sales) It’s up to us to come up with things that we can do with our students to help prevent them from quitting so early. 1) To be an effective duet partner, learn the other person’s part. I really loved this and will need to remember when my students prepare for our chapter’s ensemble program. If they are familiar with what their partner is playing and sounds like, they are going to be more on top of their own part! 3) Remember the mood/genre of what the student is creating. Then base those instrumentation choices accordingly. There were plenty of hands on examples on Lori’s presentation which is always helpful. I wish I had gotten a picture of Lori holding up one of her USB flash drives. She collects them and has all sorts of fun one’s like wonder woman, etc. Check out these music themed flash drives I found here. BEETHOVEN’S 5TH IS A 3RD!!!! That’s right! Congratulations to our two winners of the #MusicSummerShopHop giveaway! You have both won a $50 gift certificate to TeachersPayTeachers! Happy Shopping! Shelley from Pitch Publications will be contacting you shortly with the information. If you did not win, know that you have chosen to follow some amazing music sellers! All of us have great products in our stores, and we also send followers notes on a regular basis with freebies, giveaways, and information about what we are selling and how we use those items in our own classrooms! Thanks again for playing along! $50 TpT Gift Card Giveaway!!! I am so excited! A group of music teachers on TpT have collaborated to do an AWESOME and FUN giveaway starting on Thursday, June 25th-27th! You can win one of two $50 gift cards to TeachersPayTeachers. Woot! Woot! I can just imagine what I would be able to do with $50 on TpT, can’t you?! Well two of you will be doing more than imagining! 2. Then click the “follow” button at each store while you are there. 3. Now click “next” (right next to the letter) to go to the next store and get the next letter, etc… There should be 19 letters total. The giveaway runs from June 25-27th. Winners will be announced on the 28th! Have fun on the Music Summer Shop Hop and good luck! It’s the 2nd week in the #TpTChallenge and this week is Dare to Dream! One of the things that my husband and I enjoy doing (especially now that we are semi-empty nesters) is travel. But so far our traveling has been inside the United States or Mexico. We would love to one day venture out beyond the United States and Mexico and experience all there is out there! This year we have been re-doing our kitchen a little at a time. We re-did our cabinets back in January (over our anniversary, but don’t feel too bad, we went to Disney afterwards to celebrate!) and loved how they turned out. We used a rust-oleum kit. So the next thing we need are kitchen countertops, and a new microwave and stove to match the fridge and dishwasher. Here is a picture of the before and after of the cabinets. We actually want to extend the cabinets as well… That will need to happen before we do the countertops. Then my last dream is to get to 1000 TpT followers by the end of 2016. Currently at 446, it may be a big dream. But I’m almost halfway there. Maybe you guys can help me fulfill that dream?! Just click “follow” here. 🙂 Seriously, I love making resources to help teachers have fun with their students, and if it makes life a little easier, even better! What are your big dreams that you hope and wish for?